1.1 Rainy weather in the northern ASEAN region helped to keep hotspot activities in the region subdued. 1.2 In the southern ASEAN region, dry air from the southern hemisphere affected the region on some days in the first fortnight of September 2018. 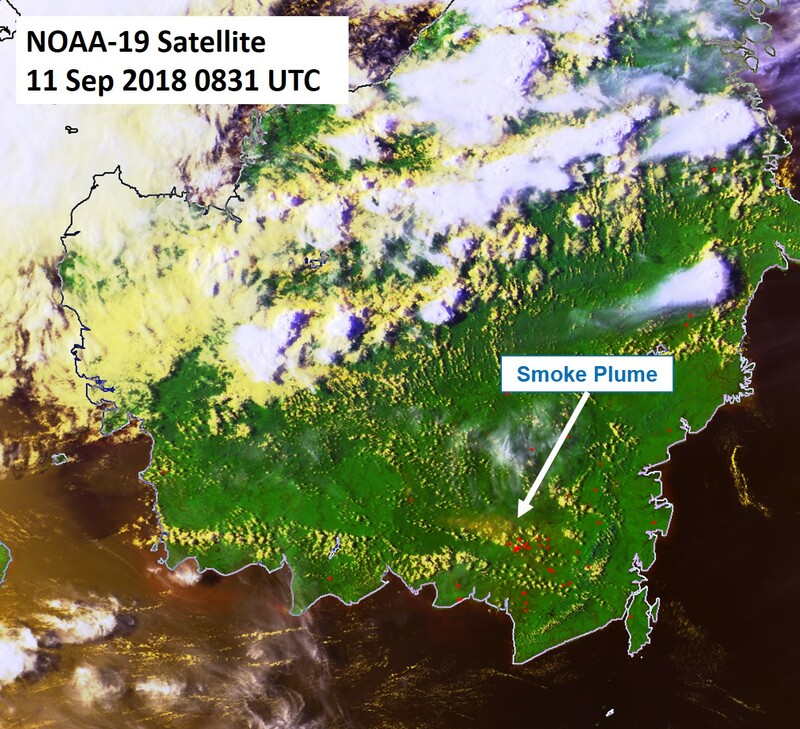 In the first week of the fortnight, isolated hotspots with localised smoke plumes were detected mainly in West Kalimantan. In the latter half of the fortnight, the drier weather led to an increase in hotspot activities on some days in Sumatra and Kalimantan. Hotspots with smoke plumes and haze were observed mostly in southern Sumatra and southern and central Kalimantan. 1.3 Figures below show the satellite images over the ASEAN region in the first fortnight of September 2018. 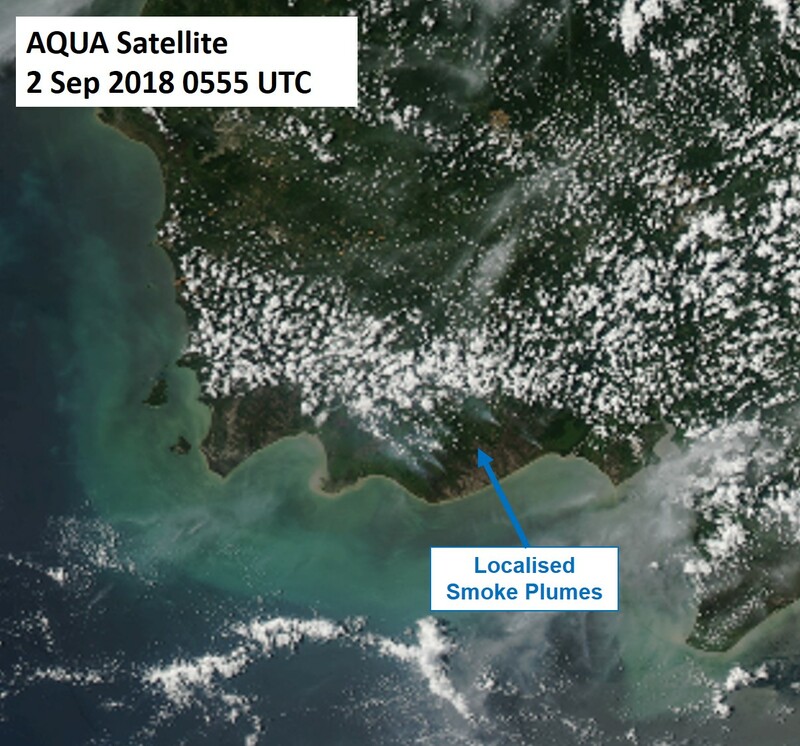 Figure 1: Aqua satellite image on 2 Sep 2018 shows localised smoke plumes in Central Kalimantan. Figure 2: NOAA-19 satellite image on 11 Sep 2018 shows smoke plumes from clusters of hotspots in South Kalimantan. 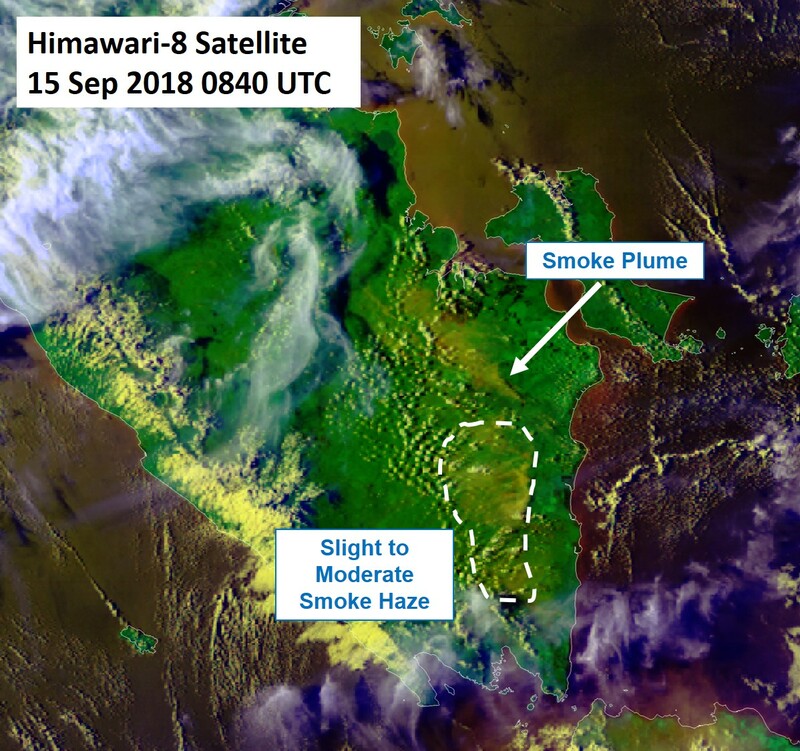 Figure 3: Himawari-8 satellite image on 14 Sep 2018 shows an isolated smoke plumes from hotspots in South Sumatra. 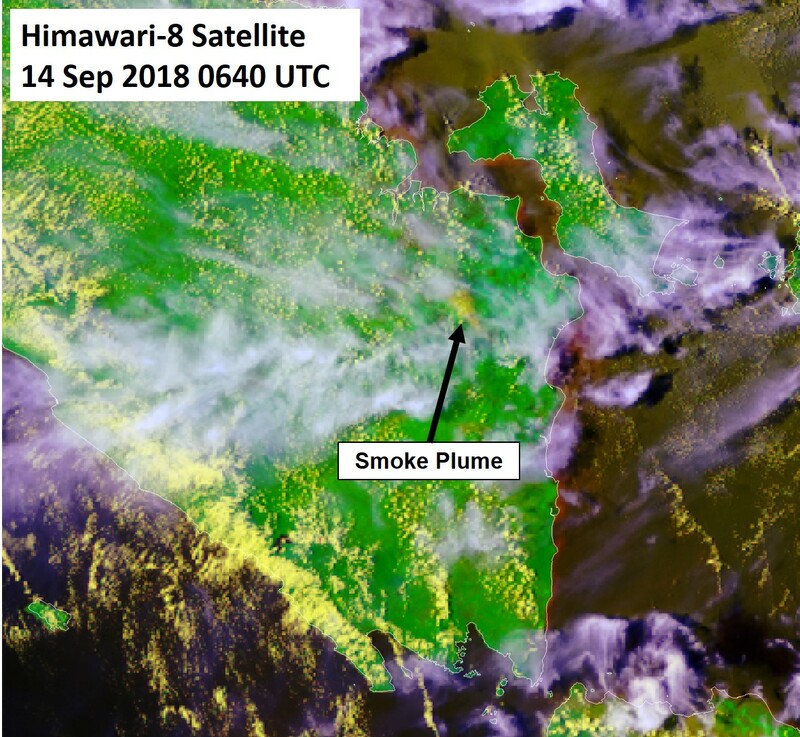 Figure 4: Himawari-8 satellite image on 15 Sep 2018 shows smoke plumes in the provinces of South Sumatra and Lampung.